Dr. Bill Vagenas earned his Doctor of Medical Dentistry in 1995 from Tufts University School of Dental Medicine and finished his residency shortly thereafter. Before starting his own practice, he also developed his experience across multiple dental clinics and hospitals. He is also a member of several professional associations, including the International Dental Implant Association and the Massachusetts Dental Society. 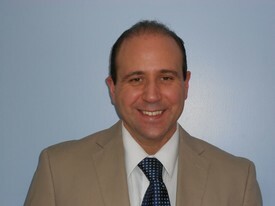 Dr. Vagenas has been practicing his unique brand of dental care since 1995, and began his private practice in the early 2000s. He offers a wide variety of dental techniques, but specializes in sedation dentistry, 3i dental implants, and CEREC®, restorations. He also offers Fastbraces®, simple tooth extractions, dental exams & cleanings, Zoom® teeth whitening, periodontal (gum) disease diagnosis & treatment, root canal therapy, bone & soft tissue grafting, Botox® treatment for TMJ, mouth guards for bruxism, and some pediatric dentistry.